Teachers post objectives in all different locations and in many different ways. 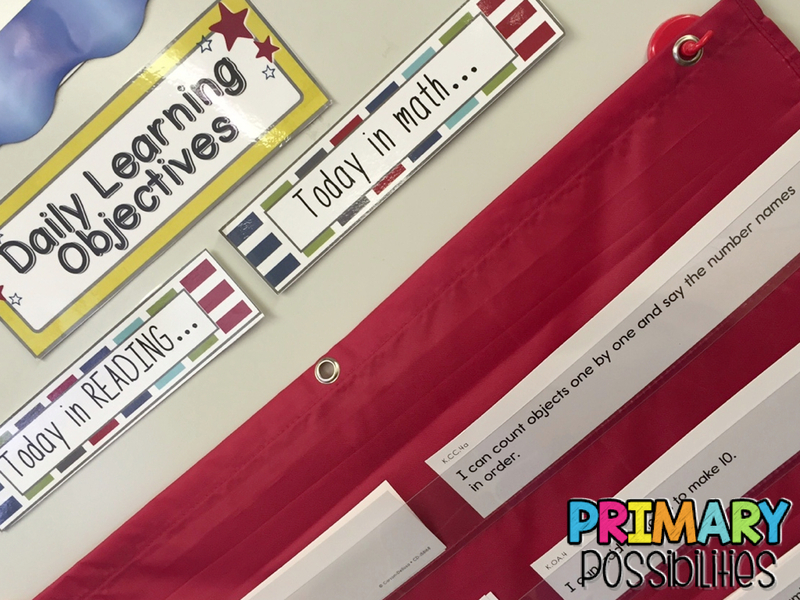 We want to show how teachers post their daily learning objectives and discuss how your students interact with the posted objectives. Let's start with the first topic, location. 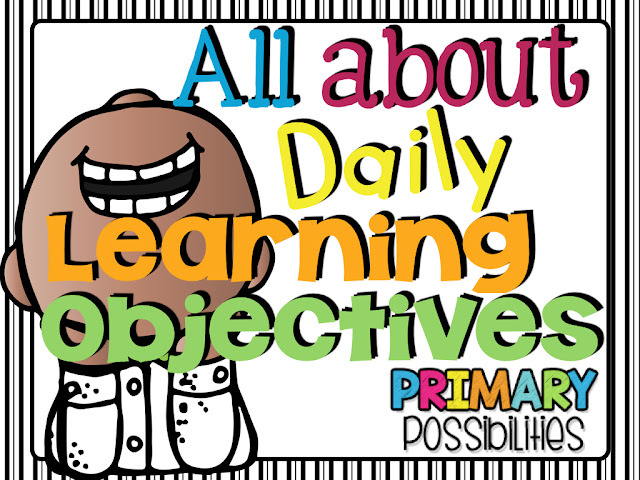 When I first began posting my daily learning objectives, I posted them as soon as you entered my classroom. You may be asking "why"? Well, the truth is, I thought posting them there would catch the administrator's attention. I mean, it was a requirement to post them. So, posting them on the closest bulletin board at the entry seemed practical. They were sure not to be missed! Well, after several years between then and now, I can say it is not the most relevant place to post them. 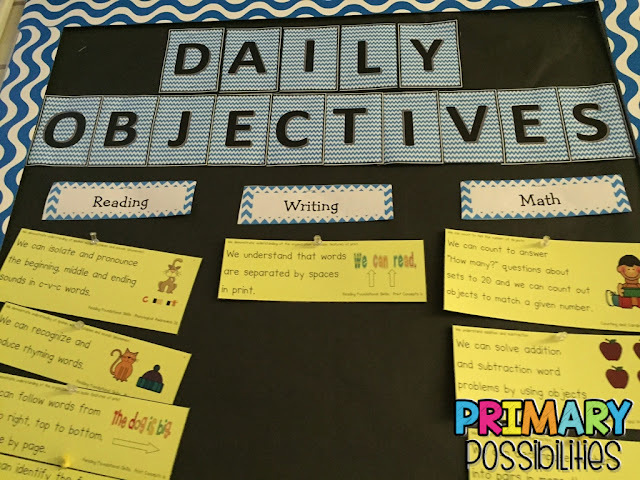 Daily learning objectives need to be posted at a location where you, as the classroom teacher, can refer to them periodically throughout the school day. 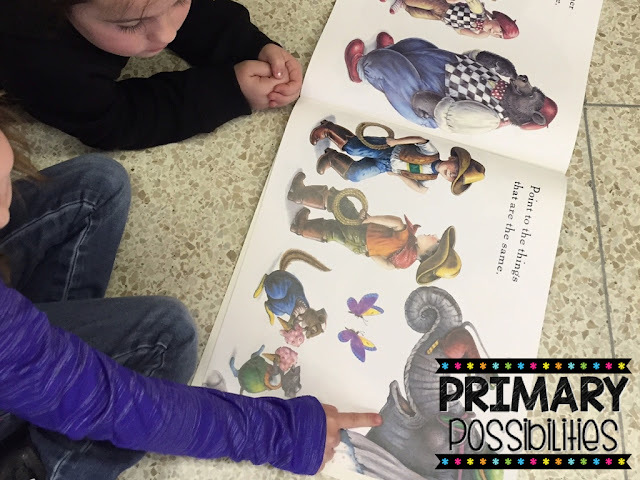 They need to be in a location where you can point and read to your students. I often like to choose a word or two to highlight with highlight tape. For example: "I can name words that rhyme." I would highlight the word "rhyme" so that my kindergarten students would understand the meaning of the word. Sometimes just a quick review of the important words between transitions will help students understand the learning objective. 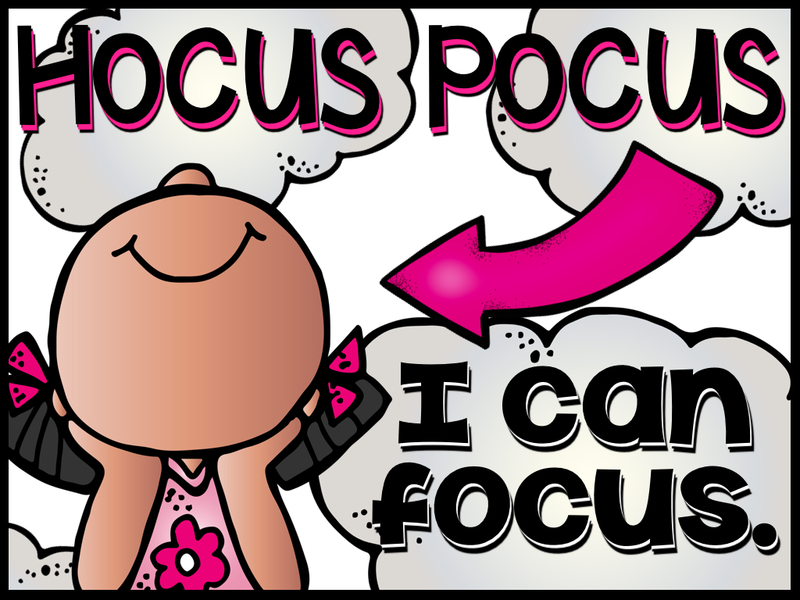 Do you call them "learning targets", "focus goals", or "learning goals"? No matter what you refer to them as, students need to have a clear understanding what you are talking about. At the beginning of the school year, I created a Frayer Model Chart with my students. 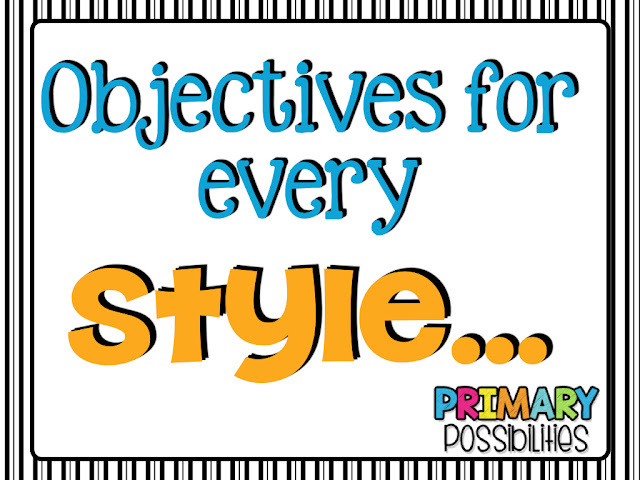 We discussed "what objectives are". We defined the word "objectives" and related sport goals to our classroom objectives. I like to say, "Hocus Pocus"... Students reply, "I can FOCUS!" Then, they echo the learning objective that I point and read aloud. I like to point to it as I say it aloud. Then, students understand visually and orally what the we are learning. As I was preparing this post, Stephany and I decided we needed several different styles to show you. The ones below are my learning objectives. 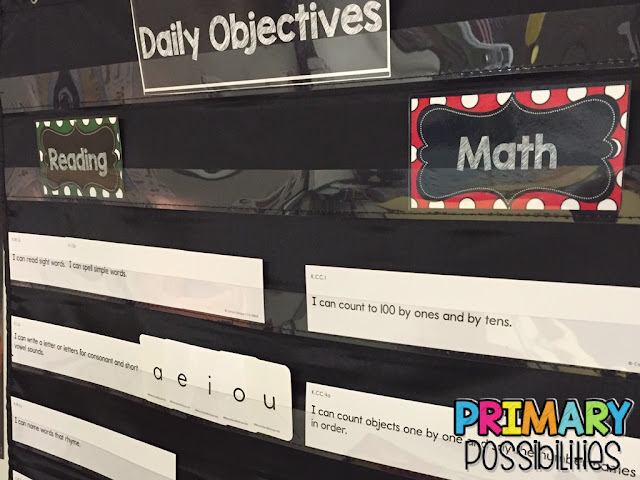 I display the Carson Dellosa Kindergarten Common Core Standards in a pocket chart. I can look at my grade level curriculum map, find the standard (located at the top left of each standard) and slide into the pocket chart. Here is another example of the Carson Dellosa Standards posted in a pocket chart. I like the way the white background color pops in the black pocket chart. My students love to go to art each week. 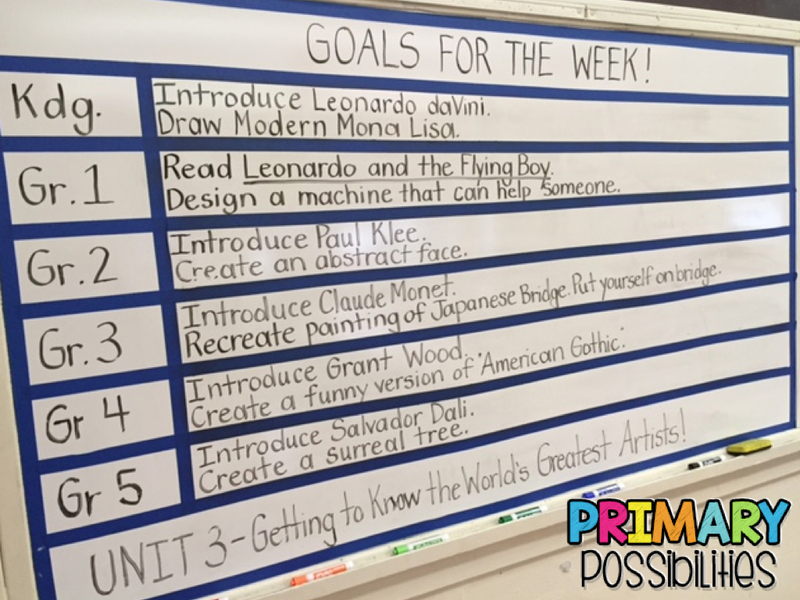 I enjoy seeing how our art teacher posts her learning objectives. 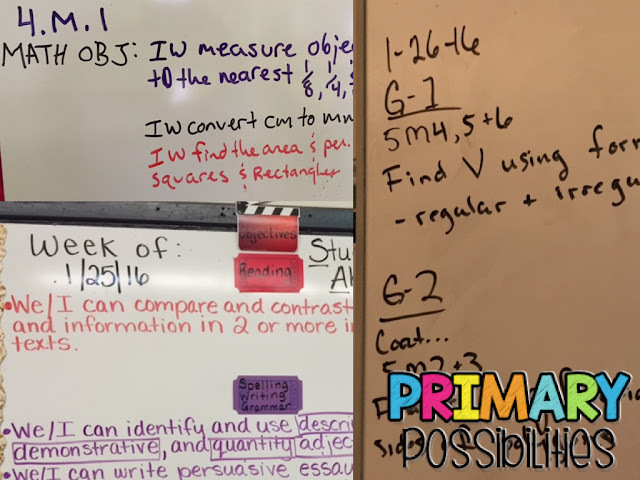 She used painter's tape to section off the different grade levels. Then, she uses a dry erase marker to write the objective in the section. I am so jealous of her beautiful handwriting! Stephany posts her second grade objectives in a similar way. 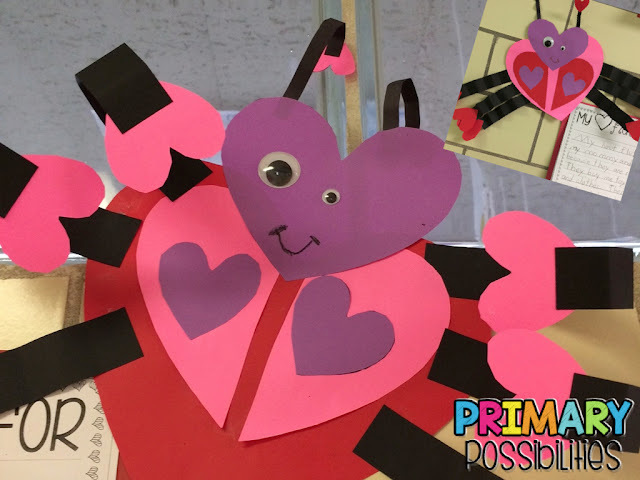 Stephany used washi tape to section off the subjects. 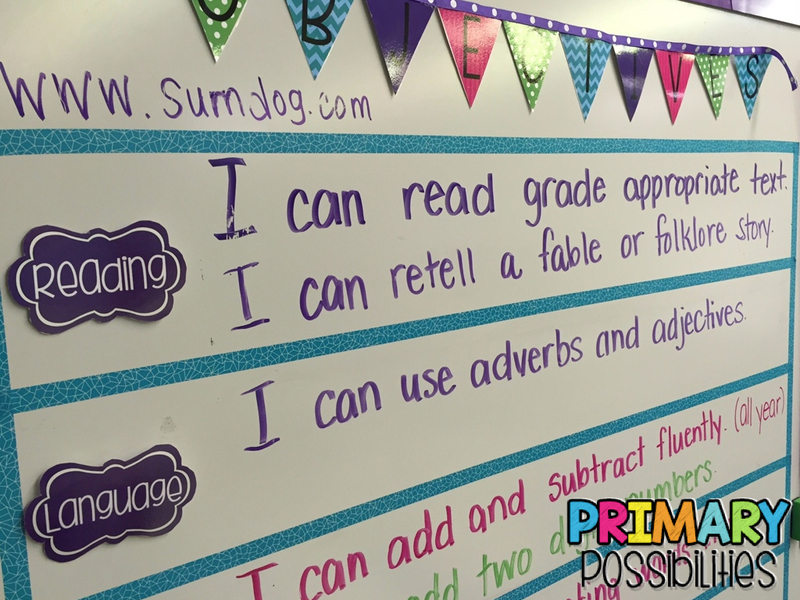 Then, she uses "I can" statements for the students to read. 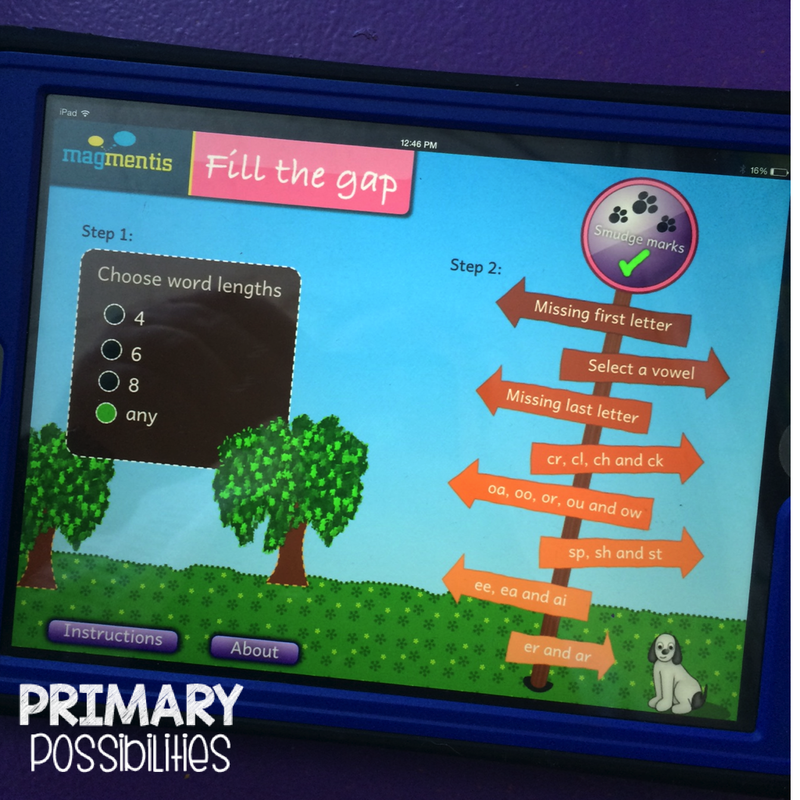 Stephany's classroom has lots of blues, pinks, purples, and greens. She always ties in her color theme by writing them with the same colors in dry erase markers. Here are some other objectives posted with dry erase markers. 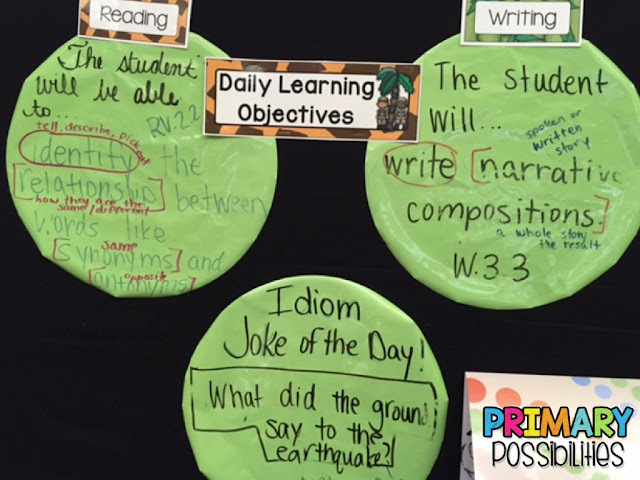 A fourth grade teacher in our building posts her objectives on these dry erase circles. A kindergarten teacher in our building uses Deanna Jump's Common Core Standards. So, you may be asking... What's the point? 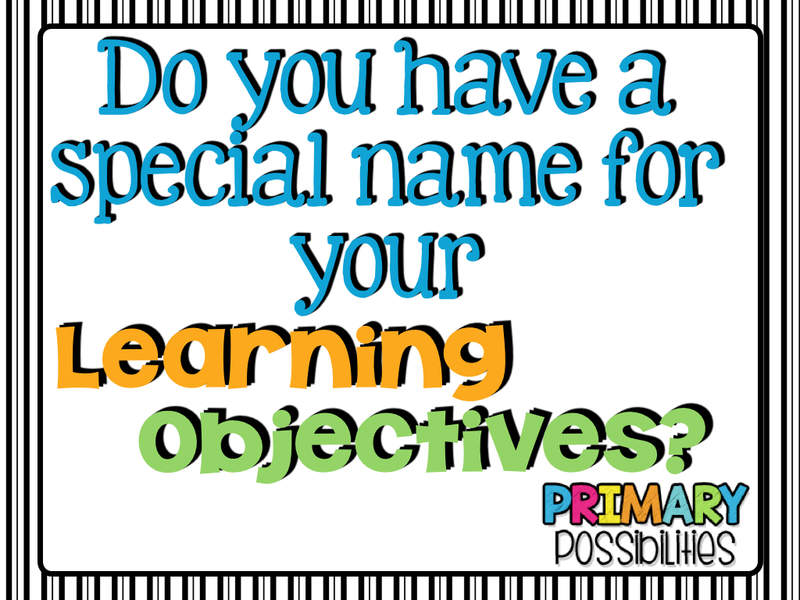 Well, the point is that we should not only post the objectives, but our students need to know the objectives. It's kind of like when your own child comes home from school and you ask, "what did you do today at school?" They reply, "nothing." Well, we know they worked all day. We know they learned something... But, if they are not told what they are learning, then they may not find the purpose. Don't we all want to know the "why"? I hope you take away an idea or two to use in your classroom. 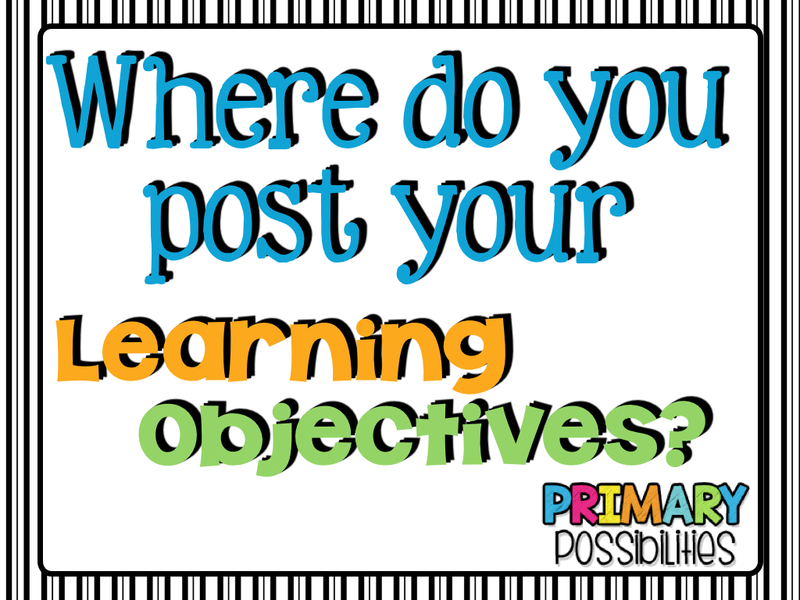 How do you post your objectives? We would love to hear from you. 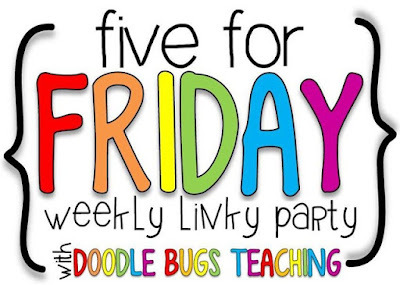 Comment below and tell us what works in your classroom. I cannot believe it is Friday again. Even more, I cannot believe Monday is February! Where has this school year gone? It will be spring before we know it. (wishful thinking) Let's dive right in and get into this linky! In reading, we focused on the importance of a good picture walk before reading. 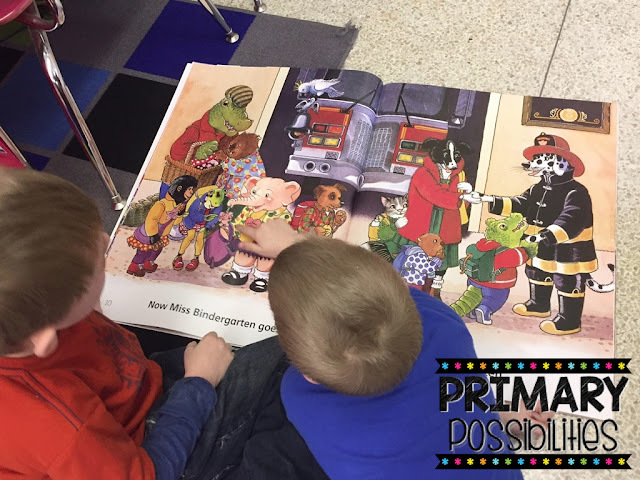 Students used big books and discussed the picture walk aloud with their reading buddies. 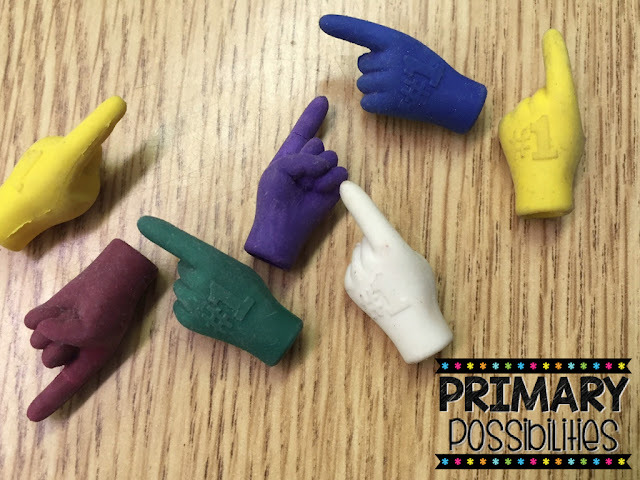 I wandered around the room and took a moment to see how students were using their hands and gestures to talk about the book. 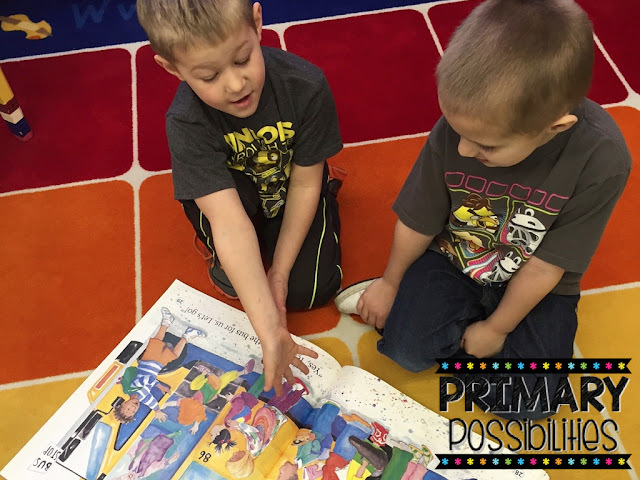 Here are a few photos of kids partner reading and book talking. I purchased these #1 finger erasers a few years ago from Oriental Trading. I like to use different pointers for students to track print while reading. 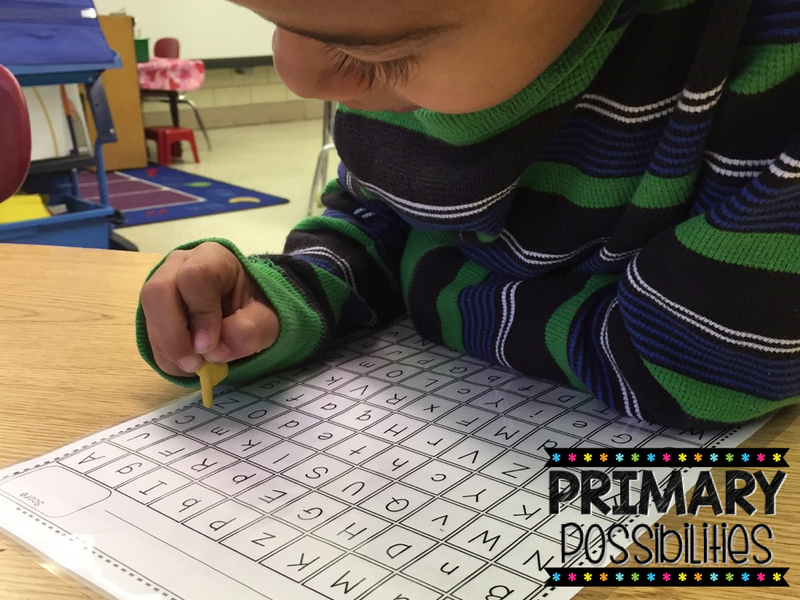 In RTI groups, students were practicing letter naming fluency using the pointers. You can purchase the pointers here. 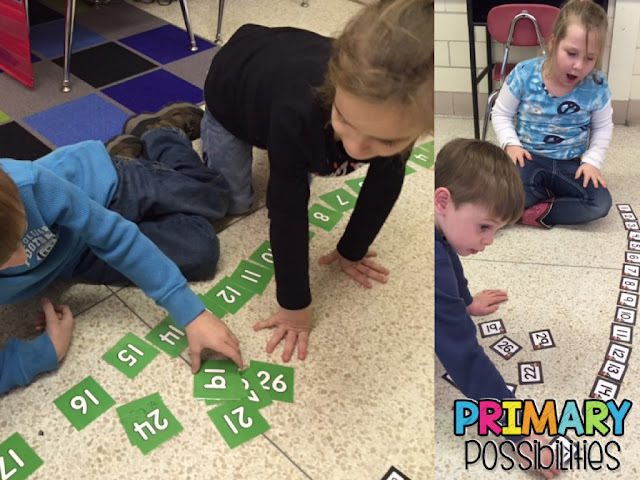 Students worked on ordering numbers using various types of numbers. Most groups used calendar numbers. Other groups used magnetic numbers, foam numbers, and plastic numbers. Stephany's class made these adorable love bugs! They are from the incredible Julie Shope. Click here if you want to grab it in her Teachers Pay Teachers store. Finally (not school related), but I received my order from Loving Leigh Yours! 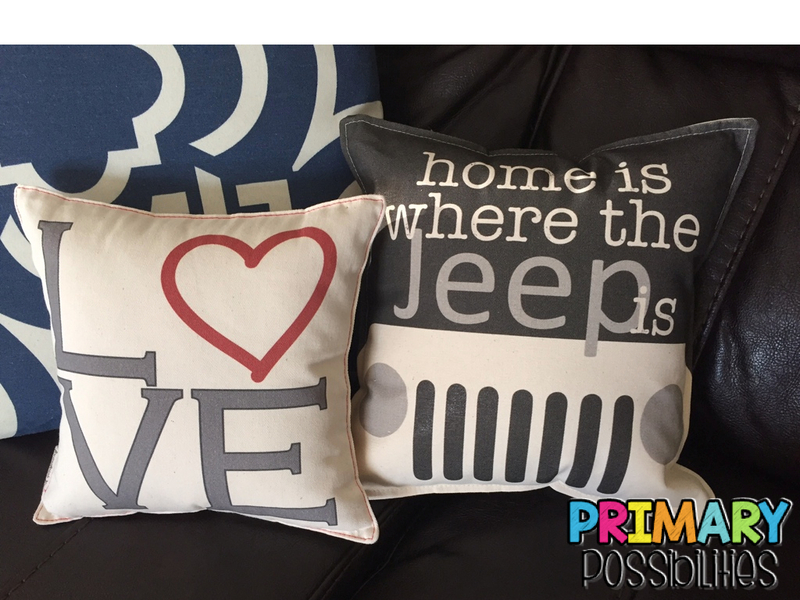 I ordered the cutest pillows. The pictures don't show the incredible detail. The latch button on the back is one of the details I love best. 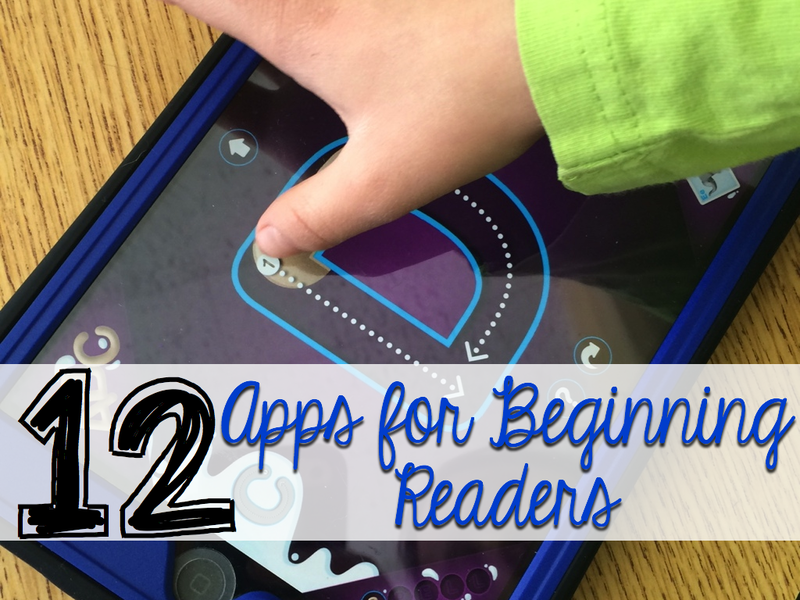 This great app for beginning readers uses stories to build reading fluency. Each book uses familiar characters from the previous stories to help build confidence and consistency. 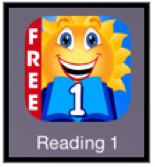 There is a free trial version available for you to check out. You can find it HERE. 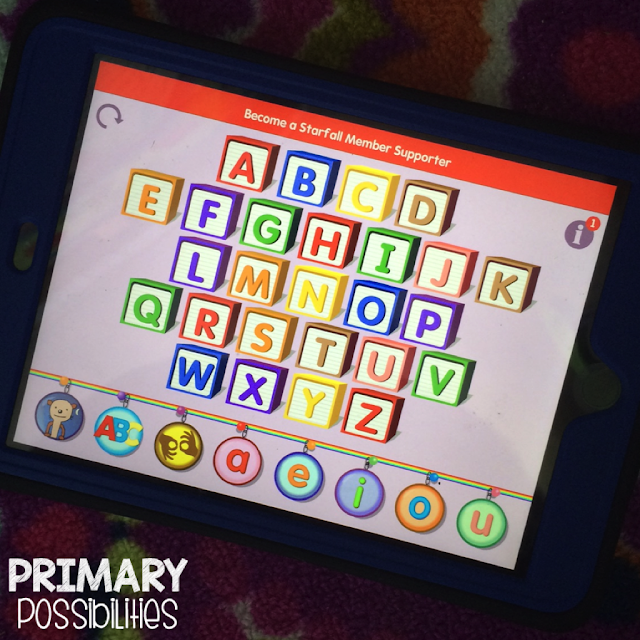 Students practice letter formation, letter sounds, more with this great app. 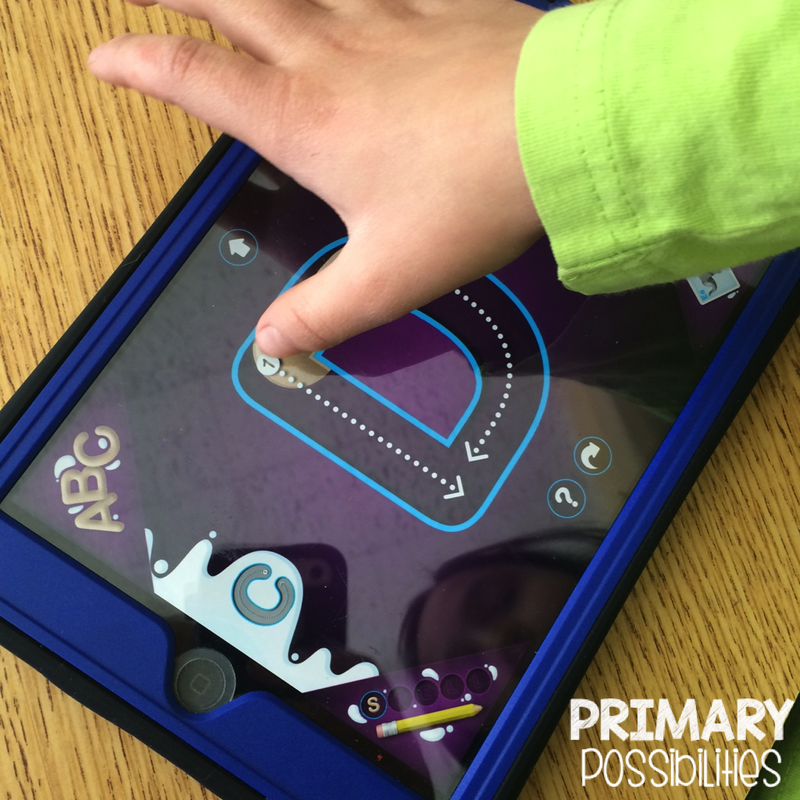 This is great for kiddos who need hands on work during tech time. 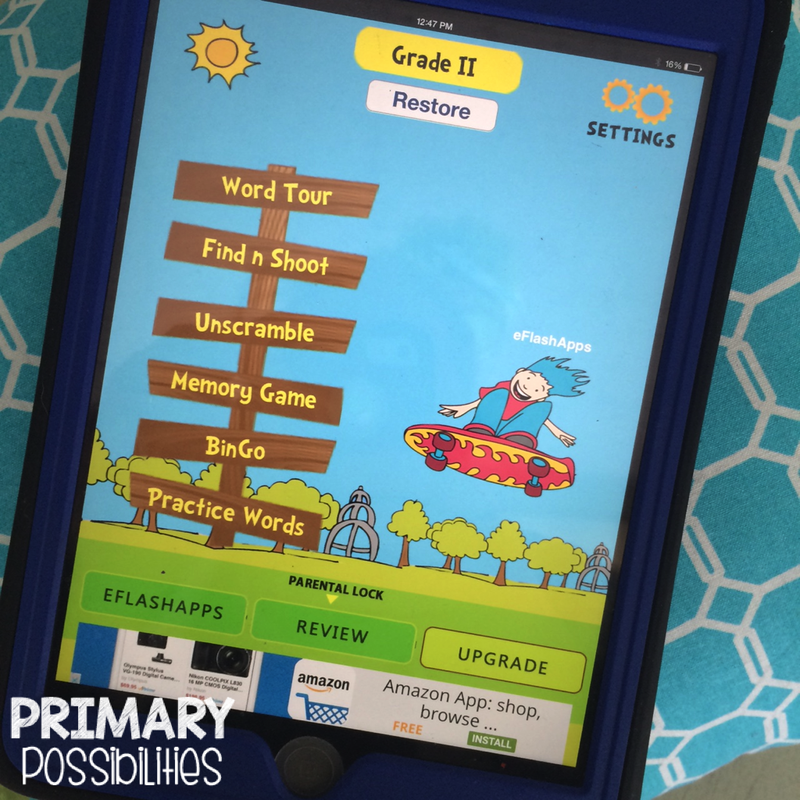 This is a great app for practicing letters and sounds. Students can touch each letter to hear the sound for each picture. 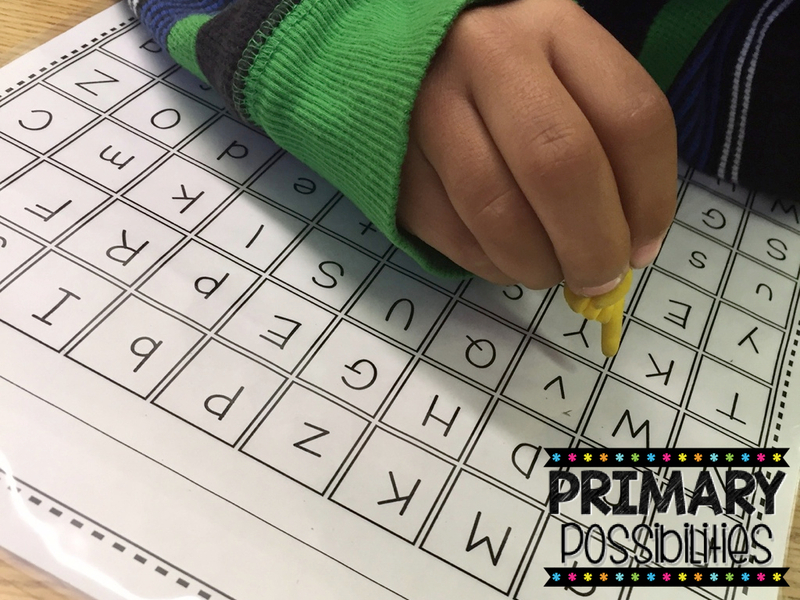 This is a great way to work on short vowel sounds and CVC words. 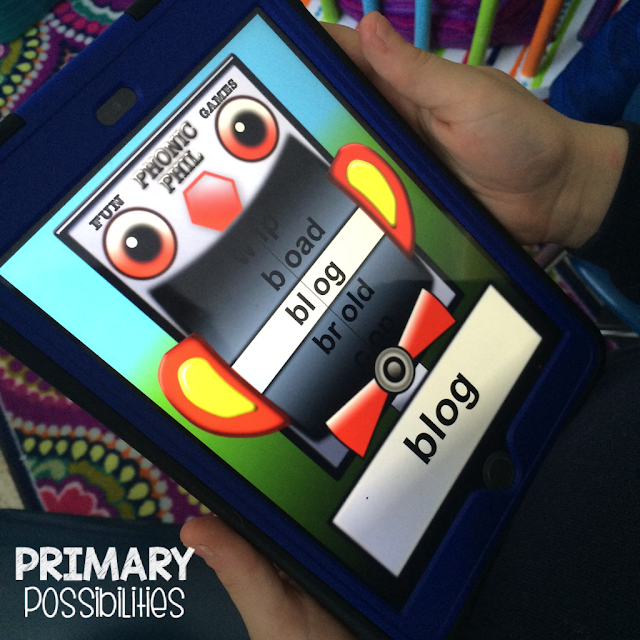 Phil is a robot who combines beginning consonants or blends with a word chunk. Students can build real and nonsense words. 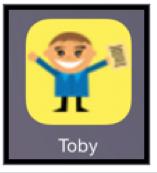 Combine this app with a printable recording sheets and you have an instant, easy station. 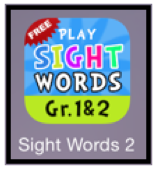 This app is great for quick sight word recognition. 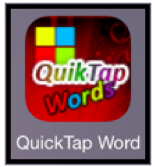 While it isn't fancy like other apps, it gets the job done. 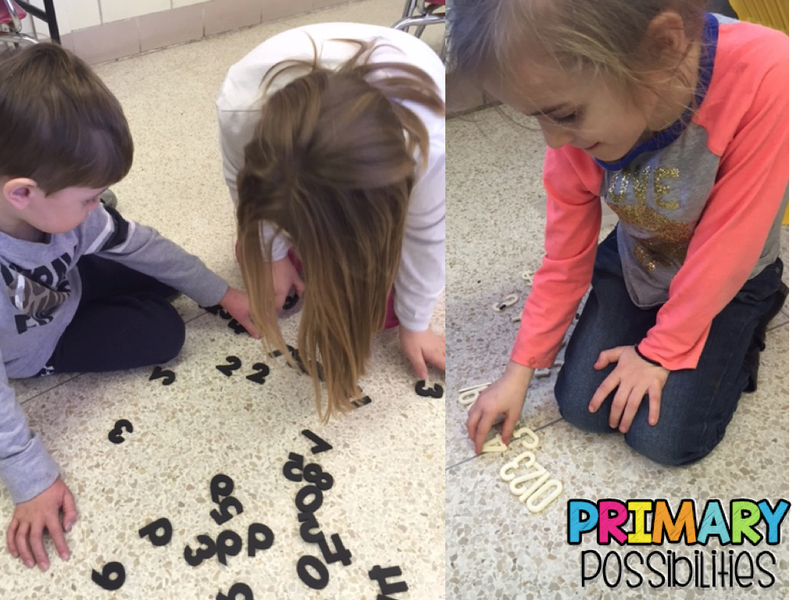 Kids love working quickly to find the sight word. This is an iPhone app but works well on the iPad. 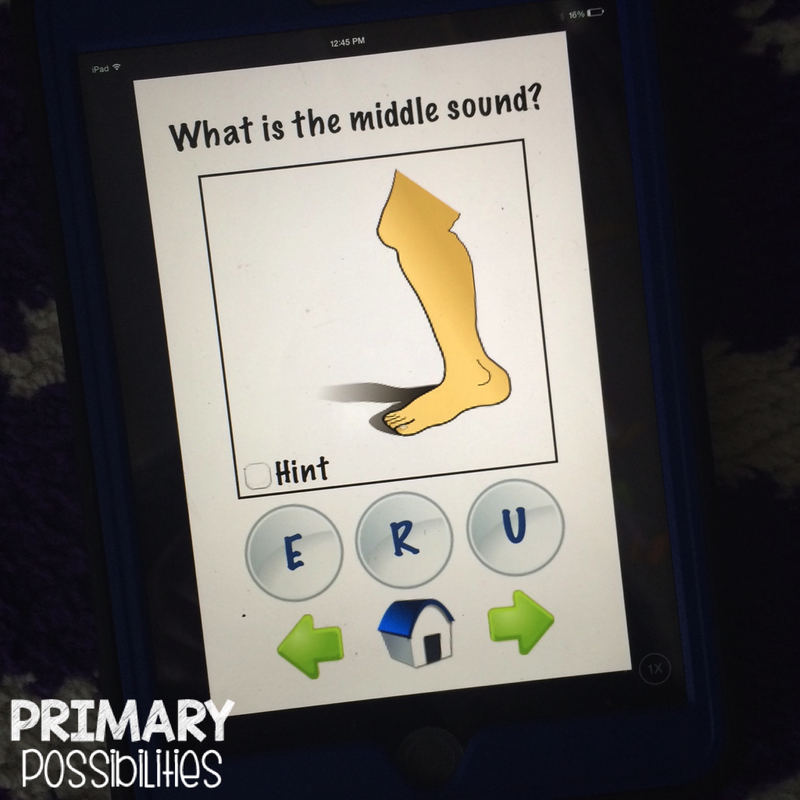 It isn't fancy but students must find the sounds in certain parts of a word. 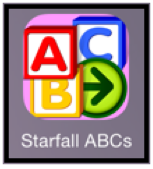 A step up from Starfall ABC, this app works on chunks, word families, long/short vowels, and other skills. 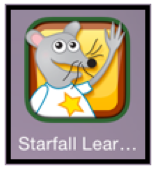 It includes the same popular songs and jingles that kids love from the Starfall website. 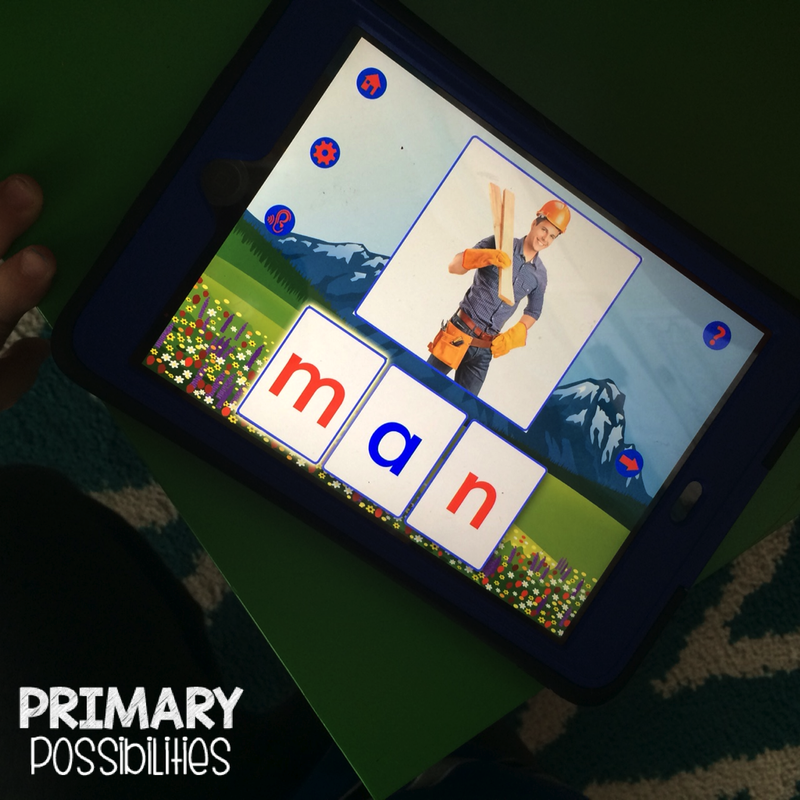 Students can choose different words lengths and combine that with different skills like missing ending sounds, vowels, vowels teams and more. 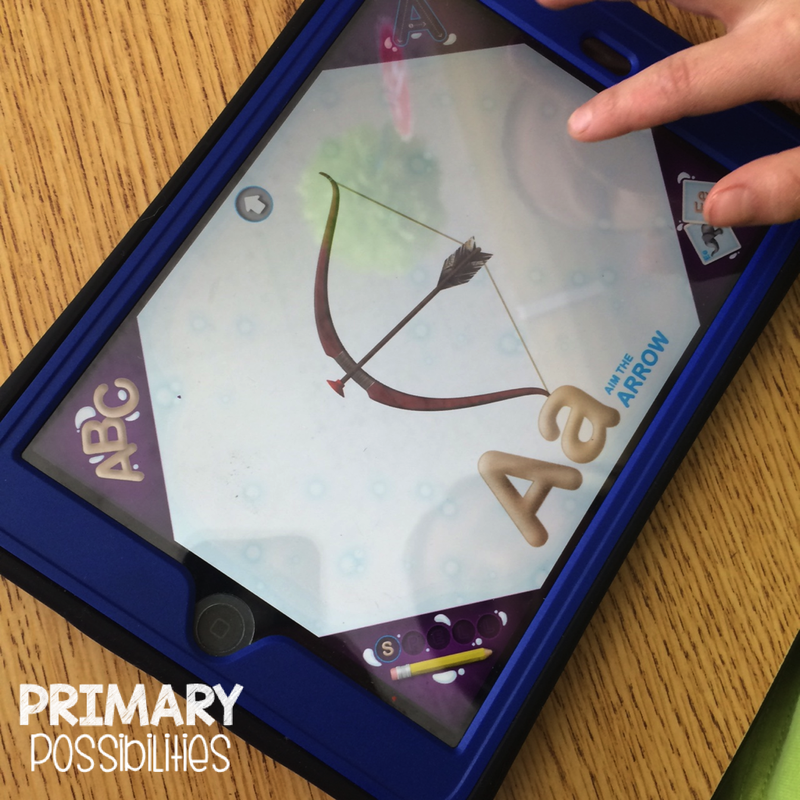 This app covers a lot of skills and can be used quite a bit before a student grows out of it. Students can read or spell the sight words. They are organized by grade level. 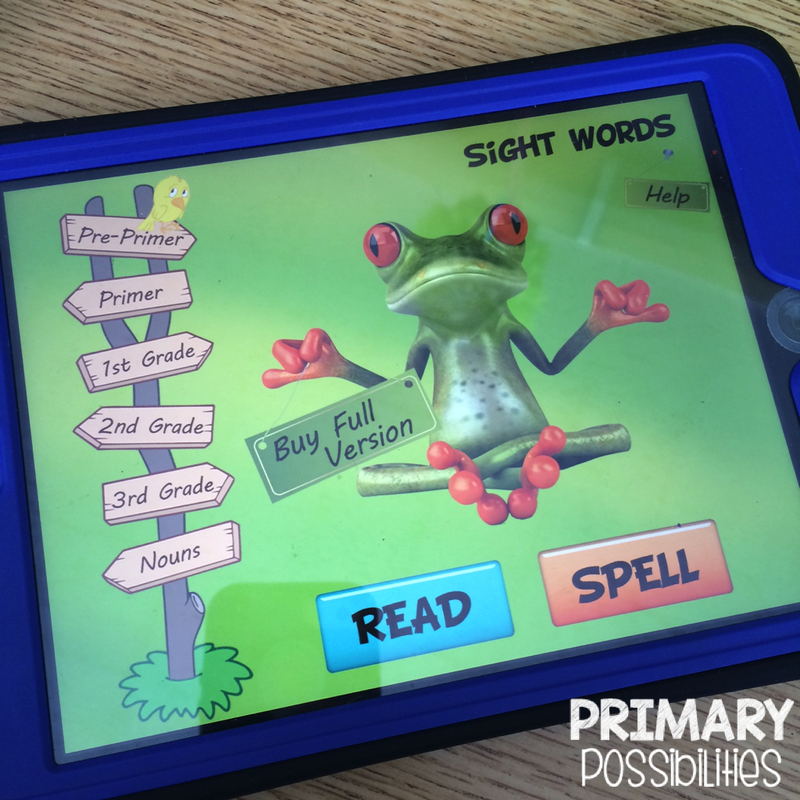 There is a paid version of this app that keeps track of learned words. Students can unscramble, read, play memory, bingo, or find the words. 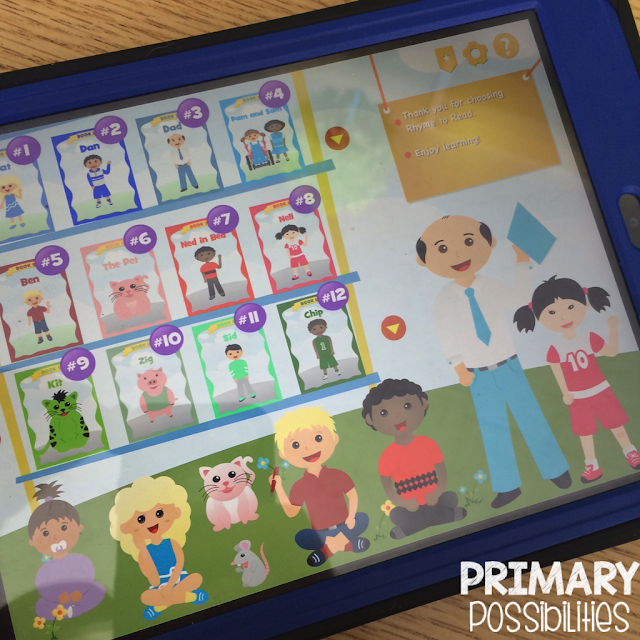 It's a pretty easy app to use and this free version has quite a few options to keep kids learning. 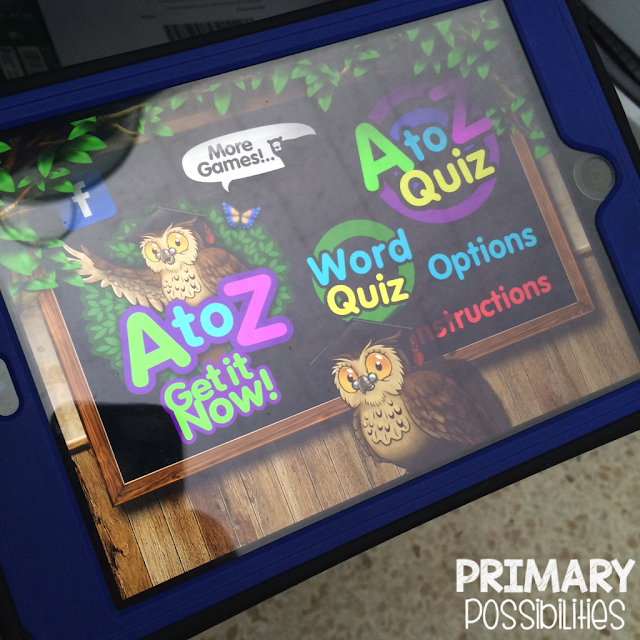 This is a fun app with a lot of different learning activities. 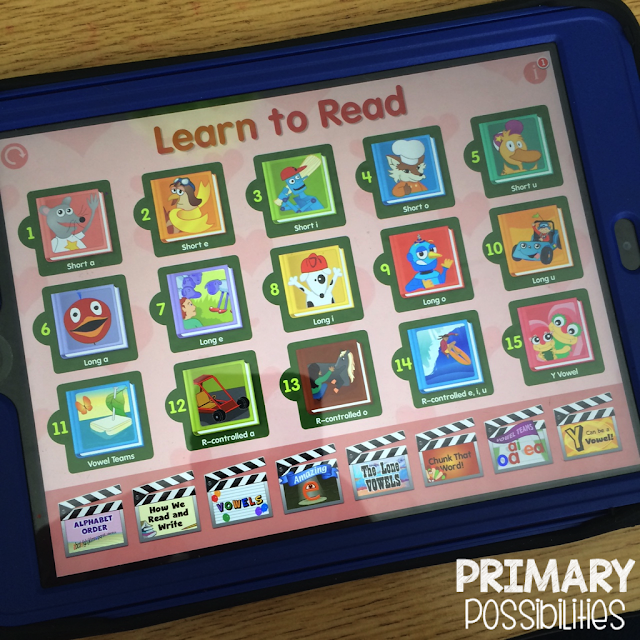 Great graphics make it even more appealing to students. If you know of any other great apps, leave a comment and let us know! We'd love to review them in a post! 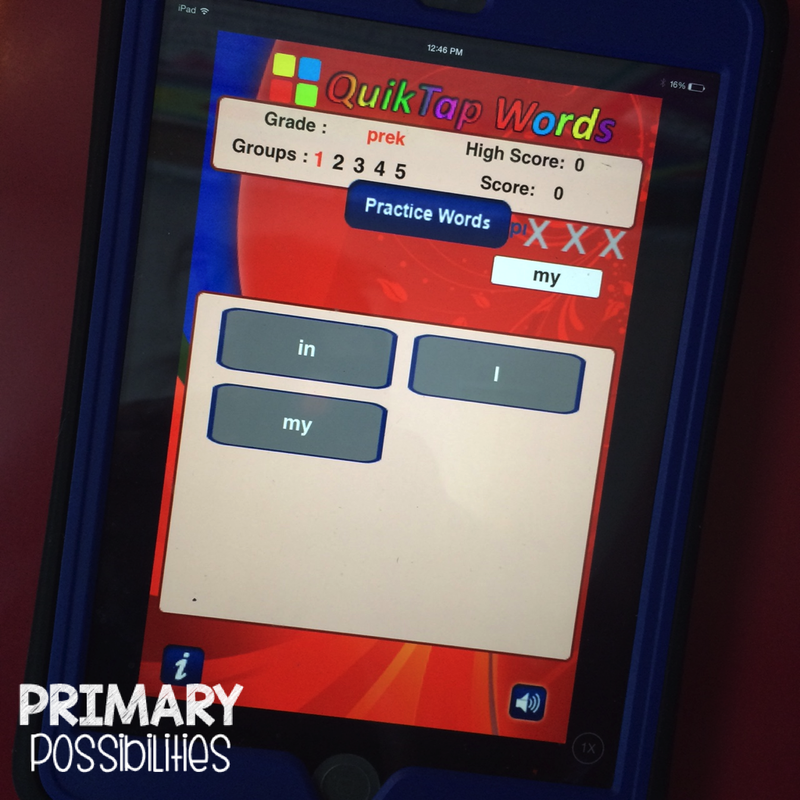 Compound words with a freebie!